Our mission is to promote personal growth and leadership development through Family and Consumer Sciences Education. 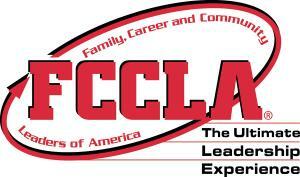 FCCLA monthly meetings are held on the first Friday of the month during lunch in Mrs. Harmon's room. FCCLA offers several opportunities. FCCLA members can compete in STAR (competitive) events such as Job interview, Career Investigation, Creed Speaking, Illustrated Talk, Recyle and Redesign, Focus on Children, Culinary Arts and MANY MANY More! . The National FCCLA Outreach project this year is stopping childhood hunger in America. This year Silo FCCLA has chosen to volunteer with the Families Feeding Families once a month as our main community service project. On the first Friday of every month starting in October, FCCLA members will help serve meals to families in the community at the old George Washington Elementary school cafeteria from 4pm to 6:30pm. Throughout the year, classes will also be cooking and baking foods for donation to this organization. Also, please 'LIKE' our Silo FCCLA Chapter on Facebook to keep up with all the wonderful projects we will have going on throughout the year!